Years After His Murder, Congo Leader Stirs Emotion A little more than six months after he took office in 1960, Patrice Lumumba, the first prime minister of Congo, was murdered under a tree in a remote province. Today, the Congolese still have a hot and cold relationship with their national hero. 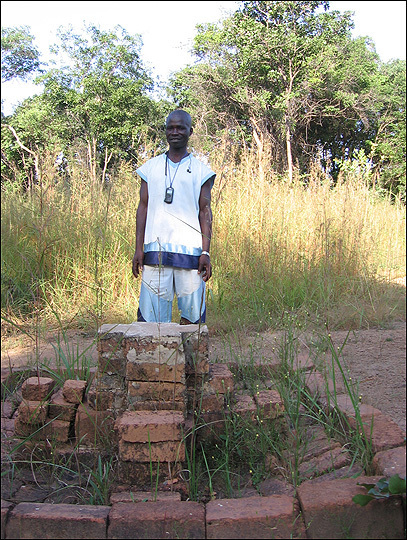 Valentin Ilunga stands at a brick memorial erected for Lumumba, who was buried with two other men in a shallow grave at this site. The bodies were later removed and destroyed. 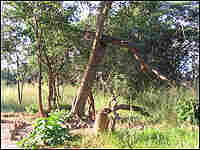 The evergreen in Congo's Katanga province, where Lumumba was shot. In an overgrown area of southeastern Congo, there is a tree that — chances are — no one will ever cut down. On Jan. 17, 1961, Patrice Lumumba, Congo's first prime minister, was murdered under the tree. Lumumba's dramatic rise and fall from power is a story with all the twists and turns of a Shakespearean tragedy. About six months after Lumumba rose to power, he was dead. The story is still powerful today, more than 40 years later, as many Congolese continue to grapple with the legacy of colonialism, conflict and the fiery young leader. Congo celebrated its first independence day on June 30, 1960, with their newly elected leader Lumumba ready to take the place of Belgian colonial rule. But within weeks, the country was in crisis. The army rebelled and, one by one, Congo's wealthiest mining provinces bolted from the republic with the support of Belgian troops. Belgium had given up its official 80-year rule of Congo, but seemed keen to maintain its lucrative mining concessions in the mineral-rich country. Lumumba's response was contradictory. He called on the international community to help keep the Congo intact, but was quickly frustrated by the seeming intractability of the Belgian troops and the apparent unwillingness of United Nations peacekeepers to force the Belgians out. His relationship with the U.N. and the United States became increasingly stormy. Lumumba then turned to the Soviet Union for help — a gamble that proved costly. It was the height of the Cold War, and Washington became concerned that Congo could go the way of Cuba. By summer's end, Lumumba had few friends left in the West. The Congolese president sacked him — though the legality of his removal was questionable — and Lumumba's former friend and aide, Joseph Mobutu Sese Seko, mounted a coup. CIA records show President Dwight D. Eisenhower believed Lumumba was a Soviet sympathizer and authorized a failed CIA operation to kill him. By January 1961, Lumumba and two of his ministers — Joseph Okito and Maurice Mpolo — were in the custody of Congolese and Belgian authorities in Katanga Province, an area famously hostile to the former prime minister. Belgian archival records show the three men were tortured. 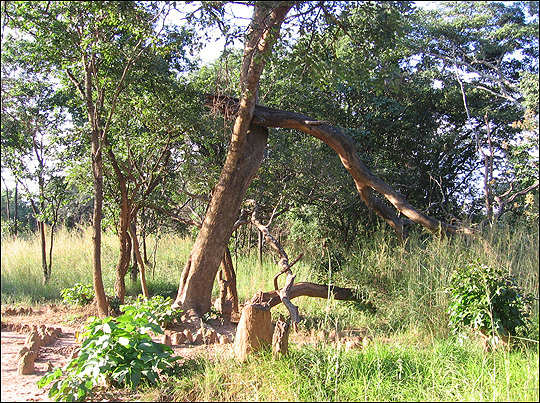 On the evening of Jan. 17, they were taken to a clearing just north of what was then Elizabethville — now Lubumbashi — and shot. Lumumba was 35 years old. Valentin Ilunga, a local chief in Katanga, says that on the morning after the killings, his great-grandfather found bullet casings and boot tracks in the area. He also found Lumumba's foot and the bodies of the other men protruding from a shallow grave. "You know we fear that place at the trees," Ilunga says. "He received a lot of bullets in his body." Officers later returned to the scene, dug up the bodies, dismembered them, dissolved them with acid and scattered the remains. Lumumba's demise helped give rise to a 30-year kleptocracy under Sese Seko, who often likened himself to Lumumba as a defender of Congolese nationalism. Today, streets in Congo are named after Lumumba and many men are named Patrice. The Congolese government even has plans to build a memorial to its first prime minister at the site of his murder. Katanga, one of the breakaway provinces, still has a love-hate relationship with the man murdered on its soil. But in 2002, when President Joseph Kabila honored Lumumba at the spot where he died, the people of Katanga built a marker near the base of the tree. 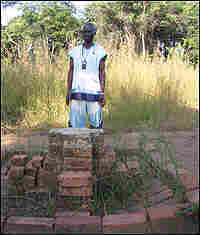 Ilunga and his friends also laid a brick memorial on top of the burial site. "Lumumba was an angry person, who didn't like to listen to others," Ilunga says. He quickly adds, "I think Lumumba was a good person because he fought for the independence of this country. You know, we used to say that the one who paves the way ... will not see it. It is the one who comes after who will see the way."